Thomas is one of parkour's earliest practitioners. In 2011, I accompanied him on a motorbike trip across India, spending 2 weeks in Hampi, a stunning UNESCO World Heritage site. 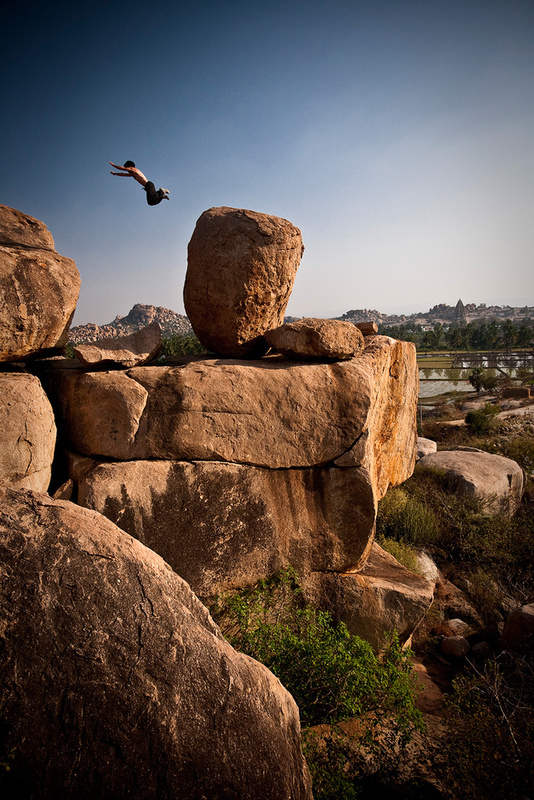 There we climbed and explored, creating a series of images that attempt to convey Thomas's physical creativity and the region's remarkable landscape of boulders and temples. The light didn't draw me to the person it drew me to the center of your image, which this can be corrected in Lightroom.